I had a realization the other day, that anytime I think of government, I think “bad,” I think “enemy.” I don’t see a solution, I can only see problems. But I already knew that. What hit me was the fact that it must be exactly the opposite for people who believe that all corporations are bad, evil, and are the problem — and that the government is the solution to everything. This all came about when I clicked on a Facebook post with a book called Captured on it. Here’s a link to the book: https://thecapturedproject.com/ It’s basically a set of drawings and paintings of CEOs of large corporations done by people in prison. 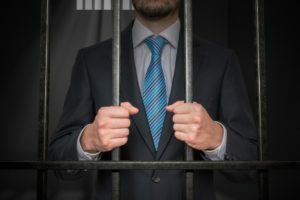 It is supposed to represent all the CEOs that prisoners believe should be in prison for crimes they have committed against society. What spurred my realization was that I was having a hard time understanding how certain people could believe in something like this, to the point where they would go so far as to publish an entire book about it. Now that I have just written that last line, I think I could publish a similar book for government officials. Well, I don’t necessarily think they should all be in prison, but I sure don’t think they represent “us the people” the way they should — especially government officials who demonize successful individuals and business owners. We should celebrate business owners, corporations, and those who have worked hard to achieve success in business. Sure, there are plenty of bad, immoral business people. I have met many and have had unfortunate opportunities of doing business with them on occasion. But most successful business people operate with integrity and don’t belong in prison. What’s interesting is just how set our minds become and how we default one way or another the instant we are presented with controversy. I think one thing politicians have going against them is that the system they must survive in is where most of the problem lies. The problem is bigger than any one of them and hard to overcome. It’s kind of like when all the cops were bad and “on the take” years back. The few good cops usually had to join the corruption or move on. For me, the difference between blaming corporations or blaming government is blatantly simple: As a whole, one side produces while the other side takes (although sometimes it feels more like confiscation). So, how does one take sides against those who produce, provide jobs, services, and products? I guess that is a rhetorical question for people who believe that all corporations are bad. Lastly, isn’t it ironic that, in a way, this book celebrates people in prison for drawing those who are the producers in society? Here is an excerpt from the book Captured, explaining why the CEO of Walmart should be in prison. Read the wording and it instantly tells you where this type of thinking goes and how they see the world — completely different from my thinking.